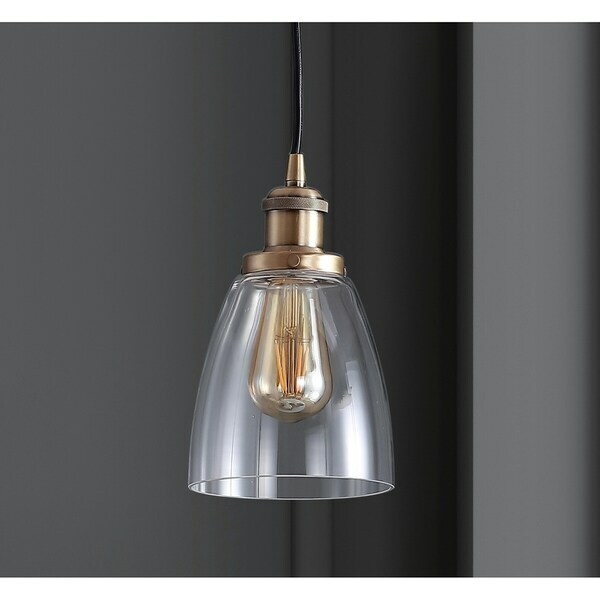 Illuminate your breakfast nook or home office with this charming mini pendant light. Showcasing a warm gold-toned finish and glass shade, this light comes with an LED bulb for low-heat energy-efficient lighting. Dimensions 5.5 In. X 5.5 In. X 10.75 In.